Welcome to Online Entry for 2019 Central Ohio USBC Championship Tournament! 1. 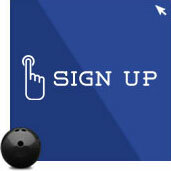 All participants must be members of the Central Ohio – USBC (Association #80795) at least 30 days prior to bowling. 2. This is a handicap tournament (90% handicap based on 220 average). Bowlers may enter an additional payout fund for scratch scores. The cost for the scratch option is $5 per event. (*Note: Entering the scratch option does not determine the scratch winner of the tournament...only the winner of the scratch option prize fund). 3. Tournament will be divided into 2 Divisions, Open and Womens. Females will be entered in the womens division for singles and all events unless otherwise noted. 4. Prize ratio will be 1 in 9. 50% of bracket money will be added back into the prize fund. 5. Multiple participation is permitted in all events; however, to cash more than once, five player teams must change at least two bowlers and doubles must change at least one bowler. You may only cash once in singles. 7. Substitutes will be permitted but should be reported to the tournament office at least one hour prior to the start of the squad. Once bowling begins, substitutes will be allowed in the team, doubles events only, and must take the position vacated by the original entrant. NO CHANGES WILL BE MADE IN THE LINE-UP AFTER ENTRIES HAVE CLOSED. PACERS WILL NOT BE PERMITTED. 8. Any player arriving after the game has started will begin in the frame currently being bowled. NO SCORE WILL BE GIVEN FOR FRAMES MISSED. No unreasonable delay in the progress of any game is permitted. Bowler will receive "0" for all frames missed. bowl in only one event each squad. USBC rule 325 will apply. 10. Tournament management will decide any question not covered by these rules. Tournament management has the power to hear and act on all protests concerning the tournament. Their decision is final unless appealed according to USBC rule 329. 11. Any protest affecting eligibility or playing rules must be confirmed, in writing, to tournament management before prize payments are made. Errors in scoring must be reported to tournament management within 24 hours of bowling. 12. A tournament entrant cannot rebowl a game or frame(s) within a game except as authorized by tournament management when the scores are irretrievably lost in the scoring process. 13. In case of a tie for first place, co-champions will be declared and first and second place prize money divided equally. When a tie occurs for another position the prize money will be combined and divided equally among the winners. 14. Cash prizes and trophies will be awarded. Anyone bowling a 300 game or 800 series will receive a paid entry into the Top Dawg Tournament. 15. ADVANCE RESERVATIONS CLOSE AND MUST BE PAID BY APRIL 29, 2019. 16. Walk-ins and re-entries will be accepted one hour prior to the start of any squad if lanes are available. Bowlers will be responsible for average and membership verification. Walk-ins are an additional $5.00 per person per event. 17. Lanes will be conditioned before each squad with a Modified House Pattern. No surface changes on any balls after start of competition. 18. Suitable bowling attire should be worn. No obscene language may be printed on shirt. 19. Tournament management has the right to reject any entry. 20. Team captains should check in at least one hour prior to the start of the squad. USBC cards should be presented at that time. 21. The entry fee for each event is $27.00 per person. There will be no charge for all events. The CO-USBC will add $3.00 per bowler (9 games). HIGHEST SCORE IN EACH EVENT WILL BE USED TO DETERMINE ALL EVENTS SCORES.